We are constantly looking for the opportunity to expand our highly successful team and, as a consequence, we are always keen to receive applications from anyone genuinely interested in a career as a Recruitment Consultant. However, as with our clients, we are extremely selective about who we employ. We currently have an opportunity for an experienced Recruitment Consultant to join our highly successful team. As an organisation, we have gone from strength to strength over the last few years, posting record results year on year. For this position, we would love to recruit someone who has experience in both estate agency and recruitment, but we appreciate this will not be easy. Therefore, we are prepared to be flexible. To us, attitude is far more important than ability as we can teach you the latter! It is, however, vital that you have first class customer services skills, an excellent telephone manner and above average communication skills. 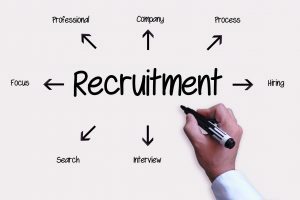 The successful candidate will also need to live reasonably close to our offices in Staines-upon-Thames and be educated to degree level or equivalent, and only candidates who are truly focused on a career in recruitment will be considered. This position will come with a basic salary which will be in line with your experience levels, and an excellent commission structure paying up to 20%. Our office hours are Monday to Thursday 8.30am – 6.00pm, and Fridays 8.30am – 5.30pm. We don’t work weekends or bank holidays and we provide 20 days’ holiday rising to 25 days over 5 years, plus we are closed between Christmas and the New Year. We also give you a day off for your birthday!